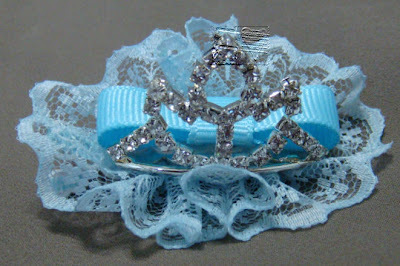 SGD$13.00 -SOLD This tiara crown is out of stock, please choose another crown. 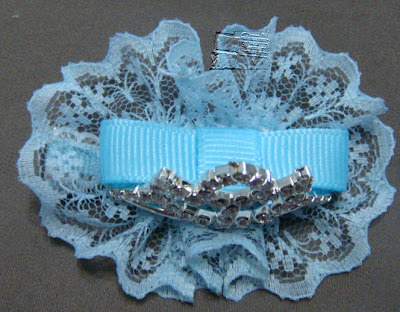 Description: A lovely rhinestone tiara alligator clip surrounded by baby blue lace. 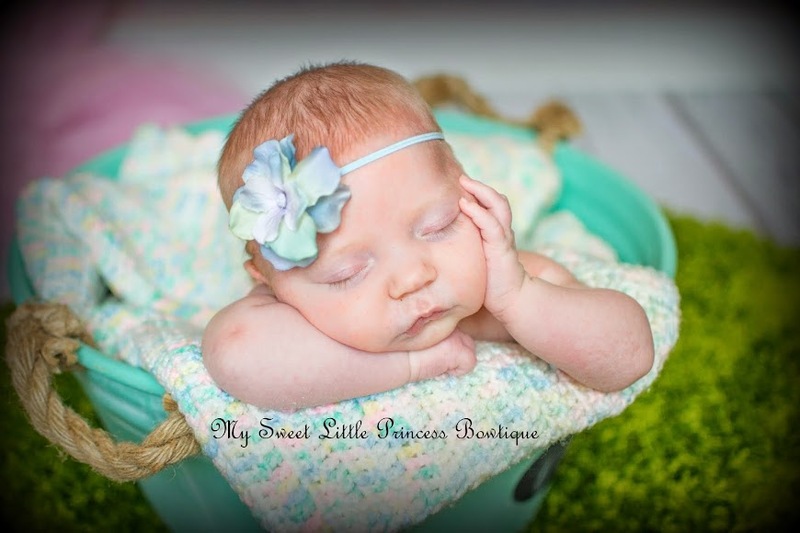 There is a little bow behind the tiara.